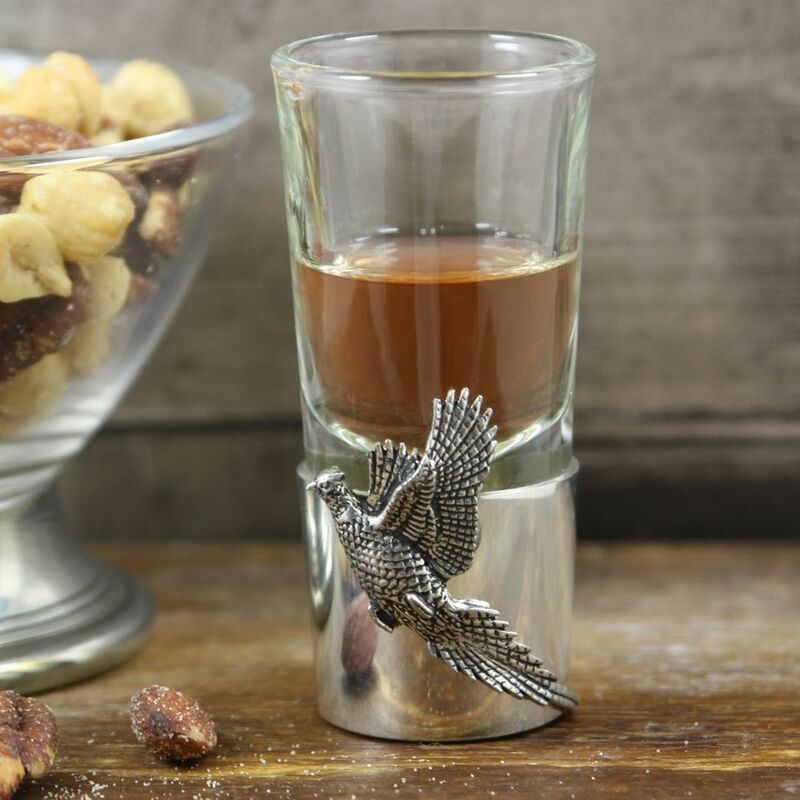 A brilliant novelty gift for a friend or loved one who enjoys a night on the town or simply likes a drink every now and again, English Pewter Company's range of pewter base shot glasses are truly elegant and stylish items of pewterware that will be well received on any special occasion. This 78mm by 33mm shot glass has a pewter base that is attractive, adds a pleasant weight to the glass, and also has a mirror-like finish which is ideal for the engraving of a name or set of initials to make the glass truly unique and personal. 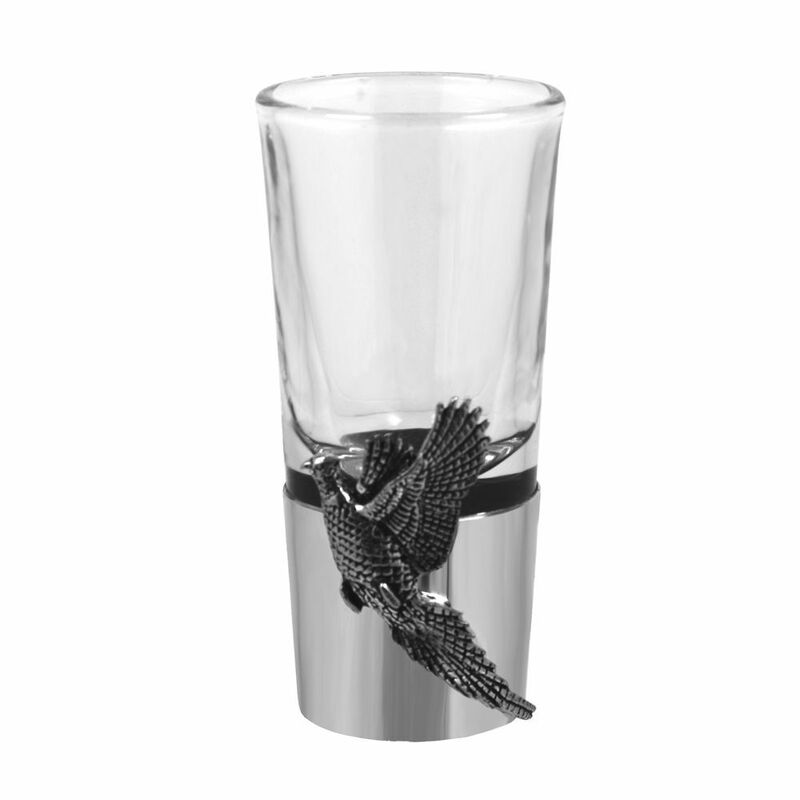 Finished attractively with a solid pewter badge depicting a pheasant, this glass is supplied beautifully packaged in a stylish cream and black presentation box that is adorned on the lid with the iconic English Pewter Company logo.